Do you also know this yearning for leaving behind mundane routine and to search for the place that gives you, your family and friends the time for discovering the essence of life? Find this location in the heart of the Bavarian Alps at the foot of the Karwendel, where green meadows, bizarre rocks and clear brooks dominate the landscape. 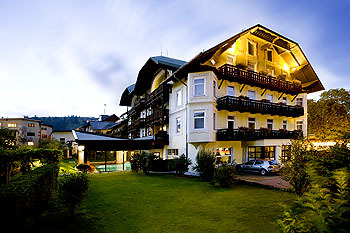 The Post Hotel rich in tradition is right in middle of the picturesque climatic health resort of Mittenwald. You can expect an oasis of peace and homeliness, very personally managed by your host family Rademacher. 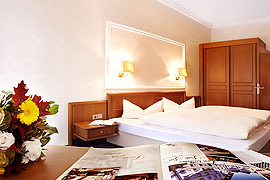 Enjoy memorable and exciting days - repose and relaxation in a friendly and very pleasant atmosphere. 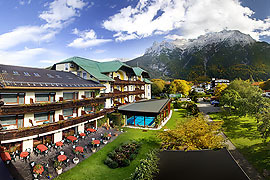 Rademacher family and the team from the Post Hotel in Mittenwald wish you a pleasant stay. The experienced chefs of Post Hotel Mittenwald provide the culinary delights with their regional and international dishes that are lovingly and excellently prepared and always freshly served. 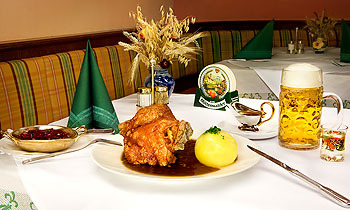 In our three restaurants, you can choose from daily changing menus, seasonal specialties and Bavarian delicacies. In summer, you can enjoy your cup of coffee or lunch or dinner on our beautiful sun terrace - the "Rose Garden" and enjoy the view of the Karwendel and the surrounding mountains. 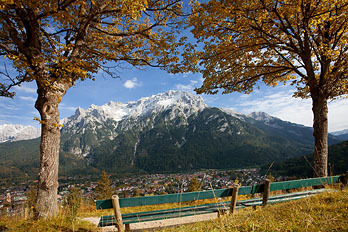 Der The small romantic place of violin making, Mittenwald, at an altitude of 920m, is ideal for holidays of any kind. Do you want to take up a challenge, experience the adrenaline rush, the thrill, or simply want to unwind yourself? Then in the Upper Bavarian Alps, you are at the right place! How would it be walking or climbing in Karwendel or Wetterstein Mountains? Or a mountain bike tour to Lautersee and Ferchensee along the high Kranzberg mountain? Even on rainy days, Mittenwald offers a varied program, such as the visit of the violin making museum, recreation pool Mittenwald or the Church of St. Peter and Paul.